City Dance Corps is Toronto's leading centre for dance and artistic movement, offering dance classes for both Adults and Youth. 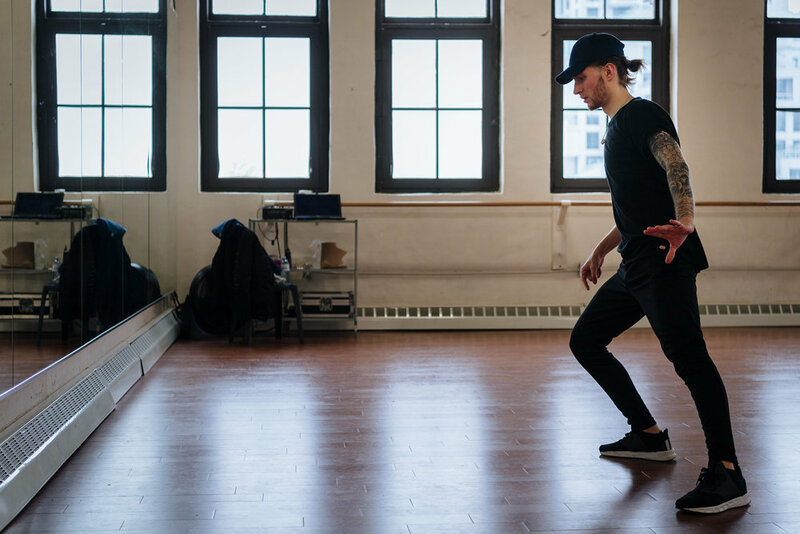 Located in the heart of Queen West, City Dance Corps has been an industry leader in the Canadian dance scene since first opening our doors in 2002. Our mission is to spread the love of dance and provide a space that is encouraging, professional, and for everyone: no matter where you come from or how much dance experience you have. We carefully retain the learning experience that is key to the art of dance and put learning first. City Dance Corps has fostered many of Toronto's emerging professional dancers and choreographers. We've also teamed up with world-class artists and brands, helped choreograph hundreds of first wedding dances, helped train beginner dancers to become the dancers of their dreams, and watched our tiny Youth dancers grow into Adult dancers (and some even to CDC instructors!). While we take dance very seriously, we also pride ourselves on welcoming dancers of all ages and levels into our safe, positive, and friendly space. As an established Toronto dance facility, City Dance Corps has had thousands of students from all over step through our studios. Our six-studio, three-floor space we call home is a unique Toronto heritage building with top-quality flooring and grand, CDC-signature, windows. Flooded with natural light, City Dance Corps' studios house over a hundred classes a week ranging in more than a dozen different styles taught by some of Toronto's best professional dance instructors. Our unique studio environment encourages you to explore the world of dance and find your own way to live more by dancing more. When students join our vibrant community, they’re supported by world-class instructors and their personal goals become creative realities. For more info about our studios or to rent them, see our Dance Studio Rentals. To see what classes are on today, head to Today's Schedule. Buy classes and learn more about our studio memberships on the Buy Classes page. Check out our talented team: City Dance Corps Faculty & Staff. For our hours, location, and more: visit the Contact Us page.